Jessica (Tyner) Mehta, born and raised in Oregon and a member of the Cherokee Nation, is the author of the forthcoming novel The Wrong Kind of Indian by Wyatt-MacKenzie Press. She’s also the author of three collections of poetry by Tayen Lane Publishing including Orygun, What Makes an Always (an Eric Hoffer Book Award honorable mention), and The Last Exotic Petting Zoo. 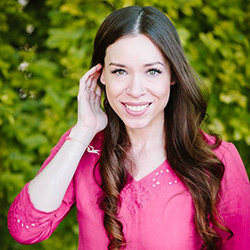 Jessica is the founder of MehtaFor: Writing Services (mehtafor.com) and the Get it Ohm! Karmic Yoga Movement (getitohm.com). She is a recipient of the Hosking House House Trust writer-in-residency program in Stratford-Upon-Avon and was a teaching artist-in-residency with Oregon’s Literary Arts. More information on her work, publishing history and more can be found at jessicatynermehta.com.